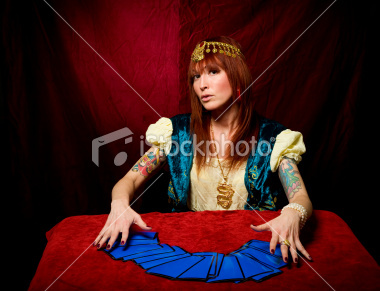 A Tarot Card reader. Not actually Nikki, fyi. What better way to kick off the new year than to get some insight into what I can expect in 2011? Back in October, after being quoted in The Guardian’s article on racism and online dating I was contacted by a Nikki, a tarot card reader with an interesting idea. Nikki offered me the chance to have my tarot cards read to see what my dating future would have in store for me. What an opportunity! I’d never thought much about tarot readings before. In fact, I’d go as far as to say I’m usually quite sceptical about those sorts of things but, scepticism aside, I was hella curious to see what the cards would say about my love life.